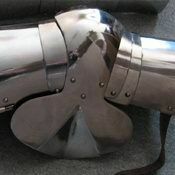 Classical model of plate legs of the 2nd part of the XV century was widespread among medieval knights. 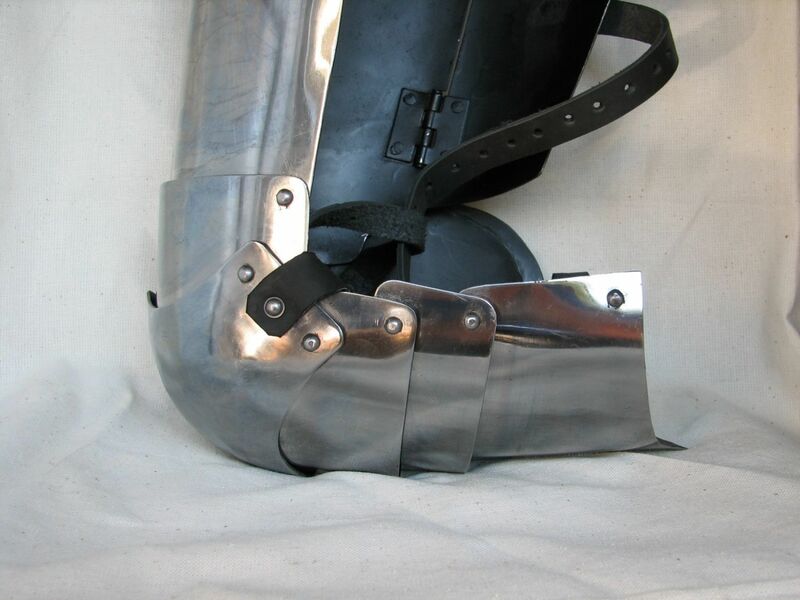 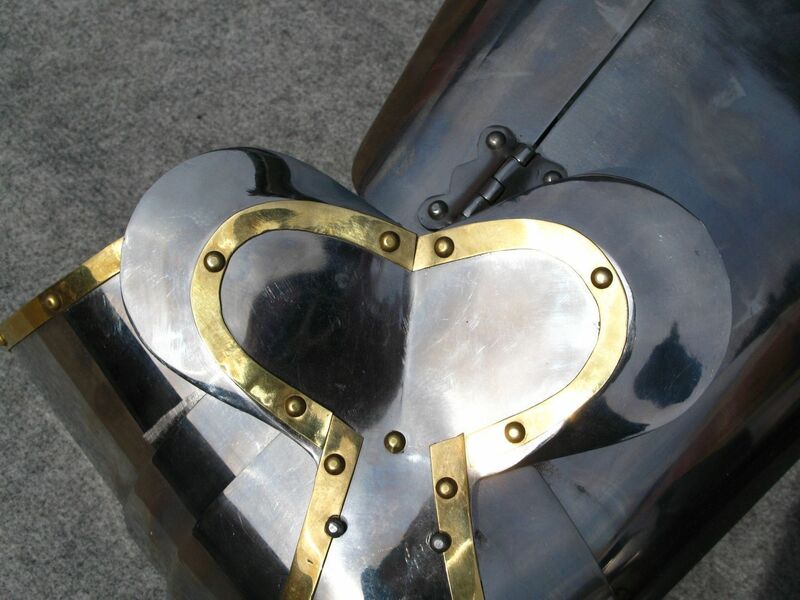 In combination with plate greaves, these cuisses protected leg at the highest level during the battles. 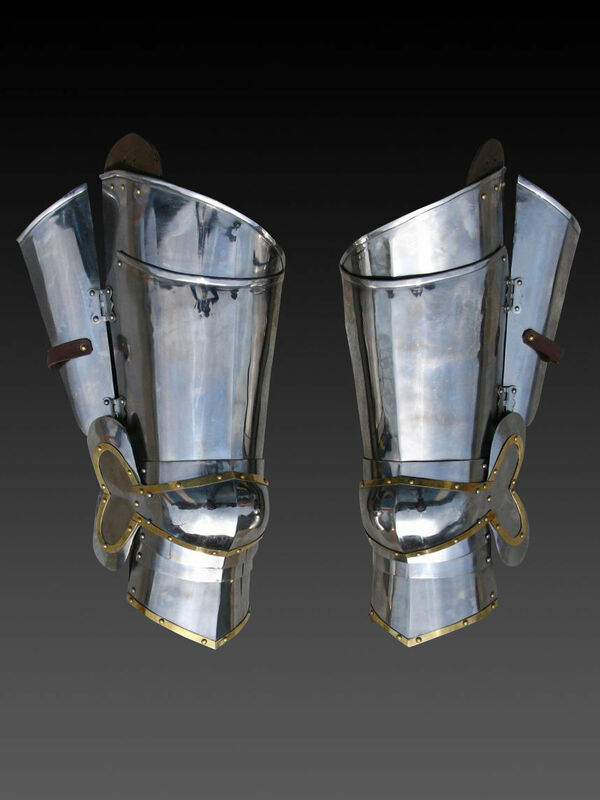 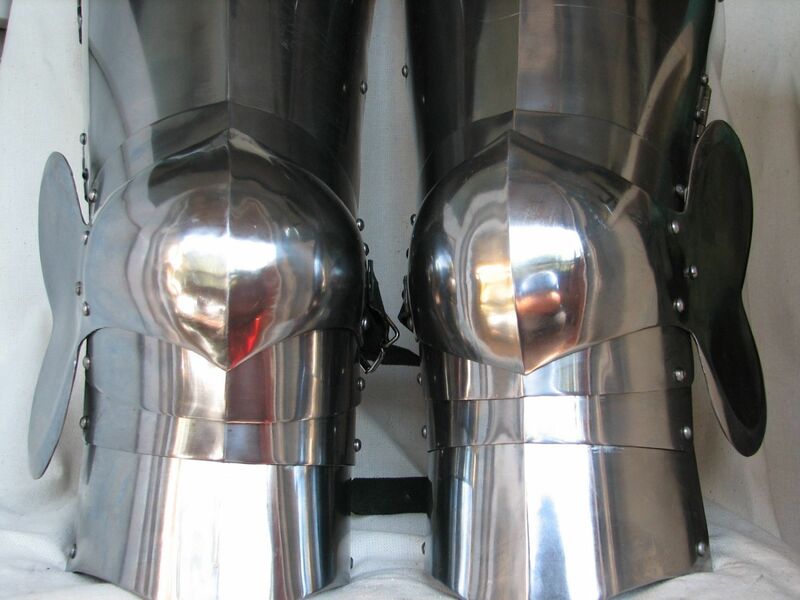 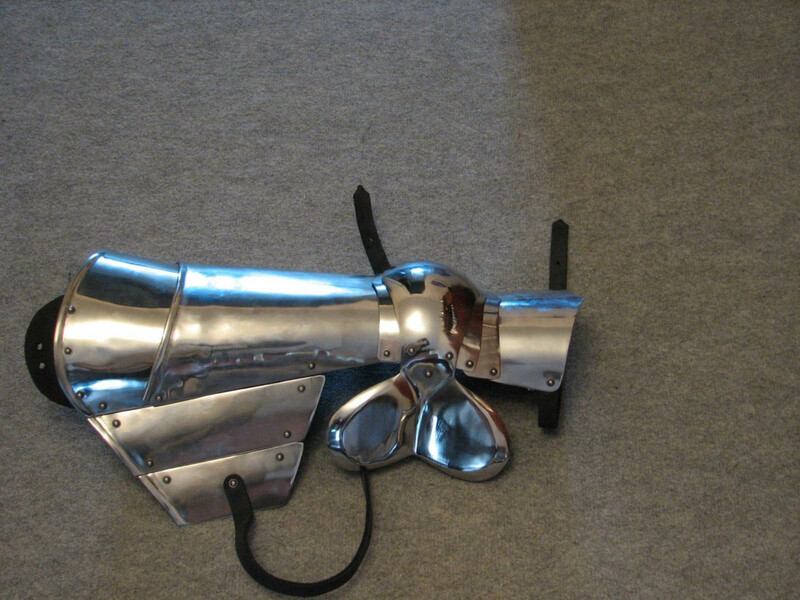 This Renaissance leg armor is supplied with kneecaps (poleyns) with a fan, which protect outer side of knee. 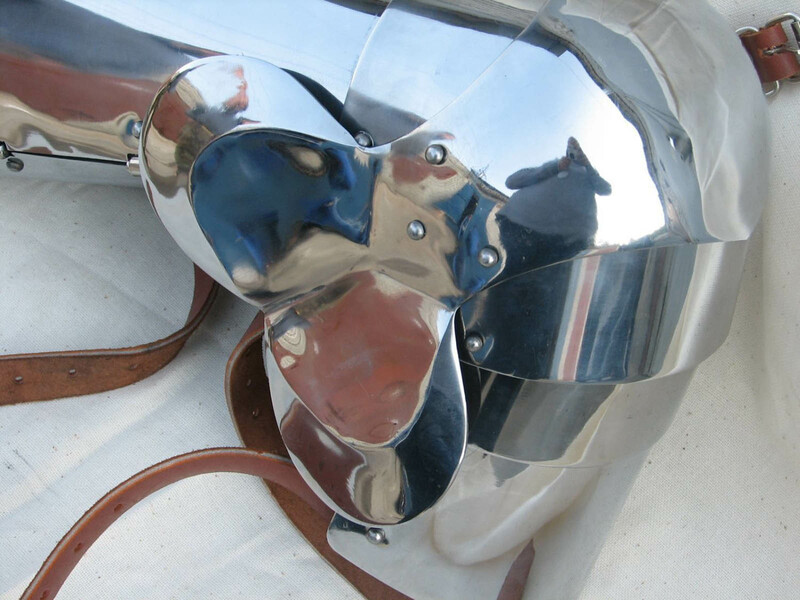 Thigh protection with hinges is fastened with leather belts with buckles from the inner side of leg. 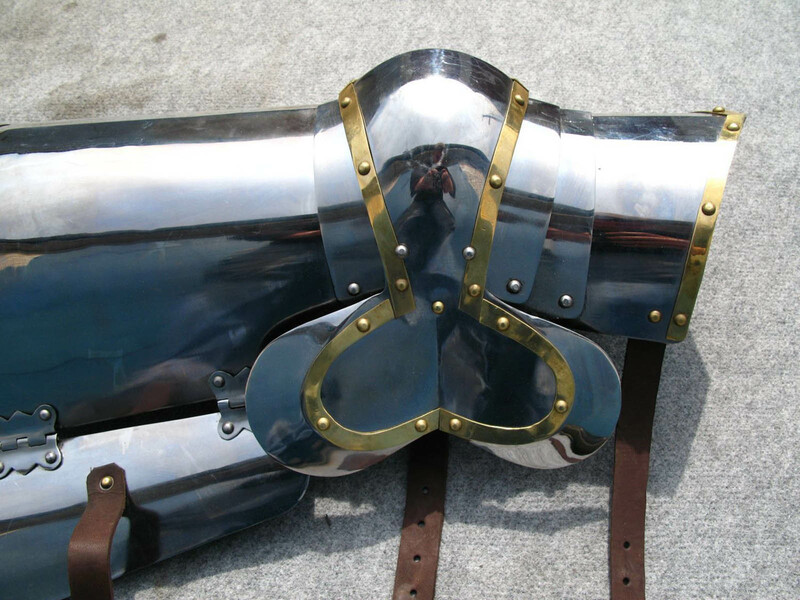 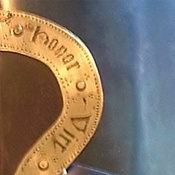 Leather loops of the top of handcrafted plate cuisses are intended for fastening of armor to your medieval doublet or belt. 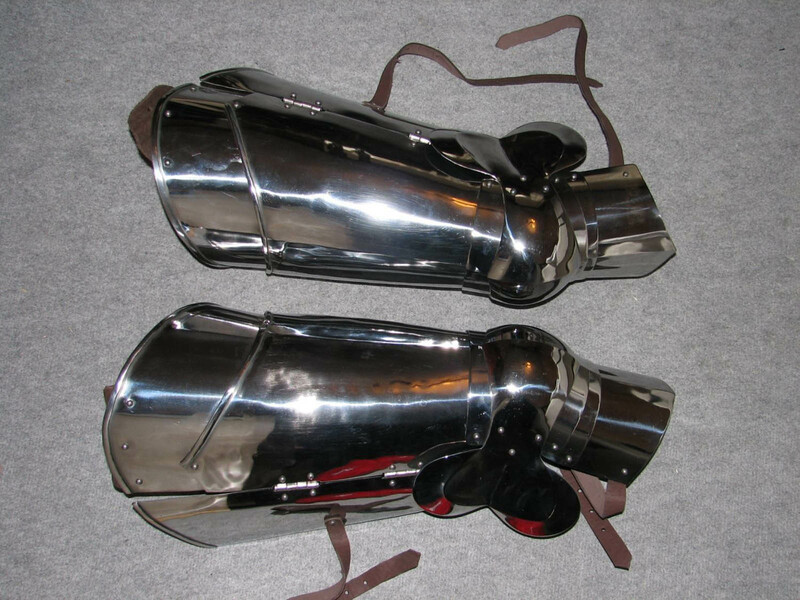 You may also like these models of XV century’s leg armor: English Gothic legs of the XV century, German Gothic legs of the 2nd half of the XV century, plate legs of the late XIV – early XV centuries.